You are here: OxNotes Home › StudentSpace! › Artist proves the sky isn't the limit. 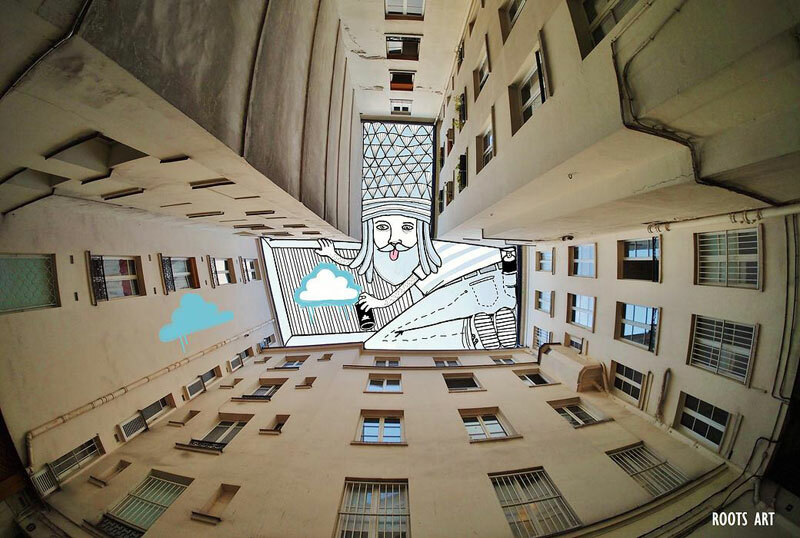 In a series entitled Sky Art, French artist Thomas Lamadieu (aka Roots Art) takes photos of buildings and cityscapes wherever he goes. 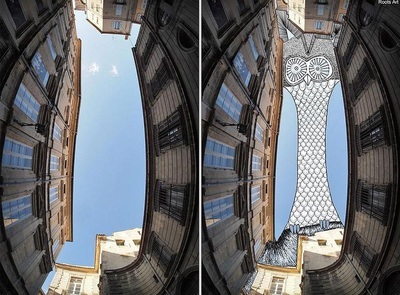 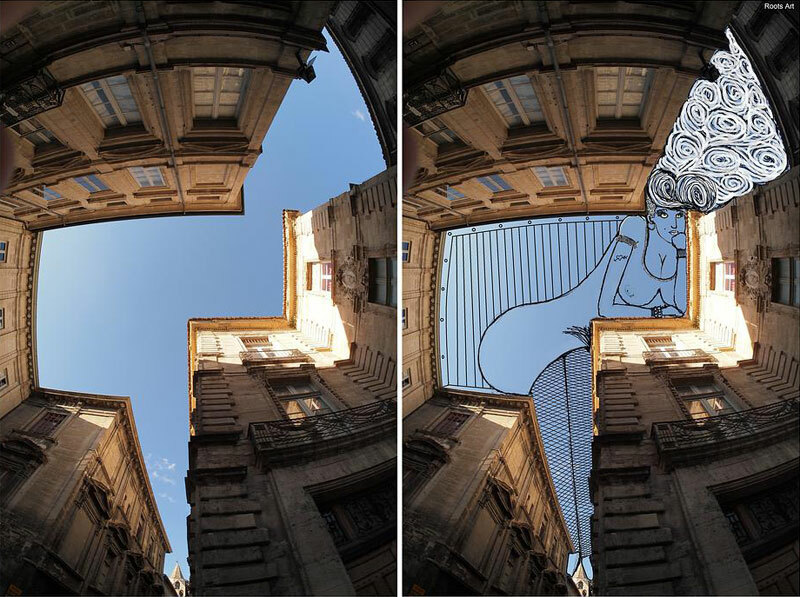 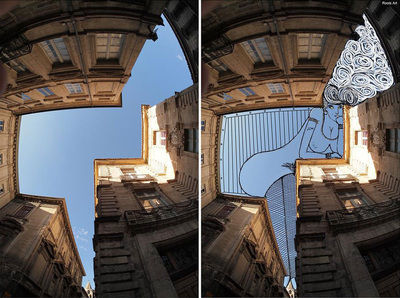 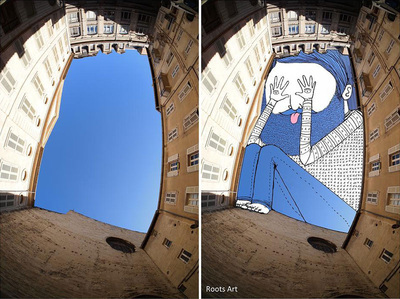 Every time he looks up, Thomas sees a potential canvas where the building rooftops frame the sky. 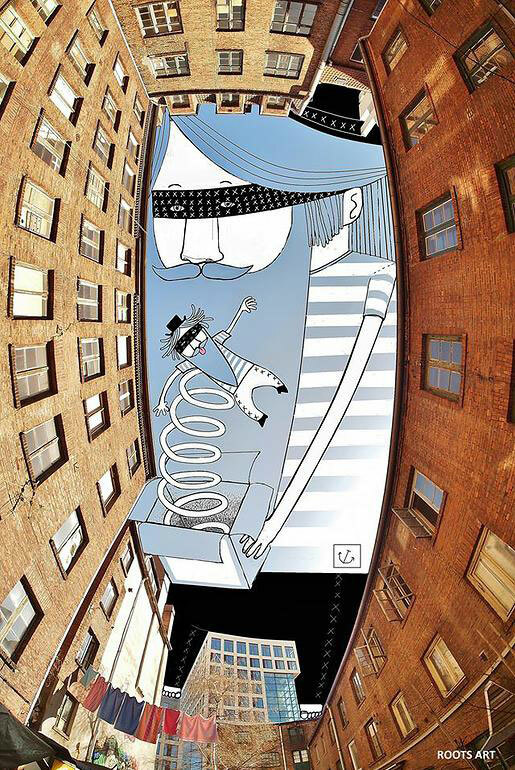 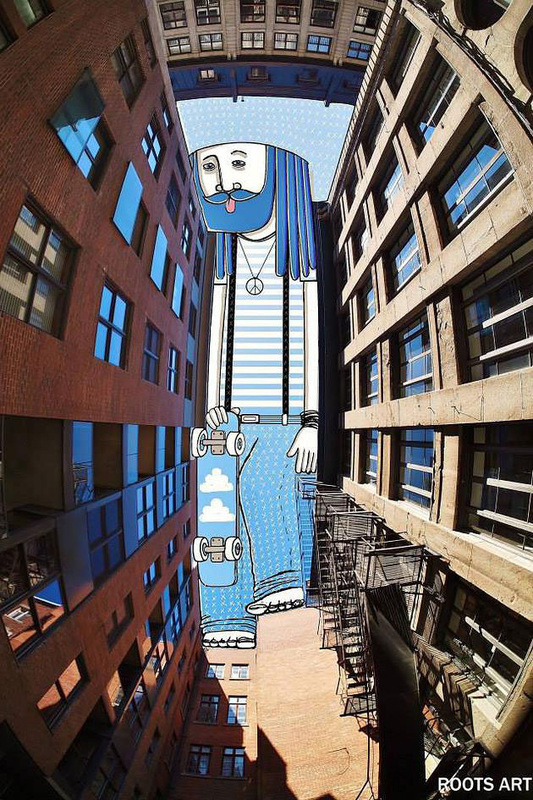 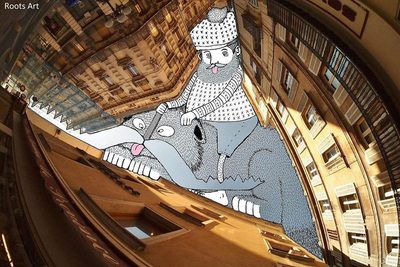 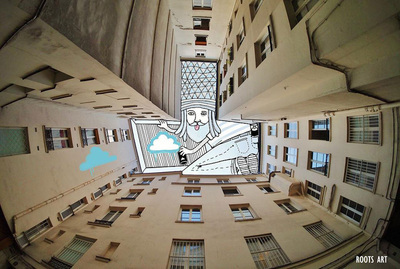 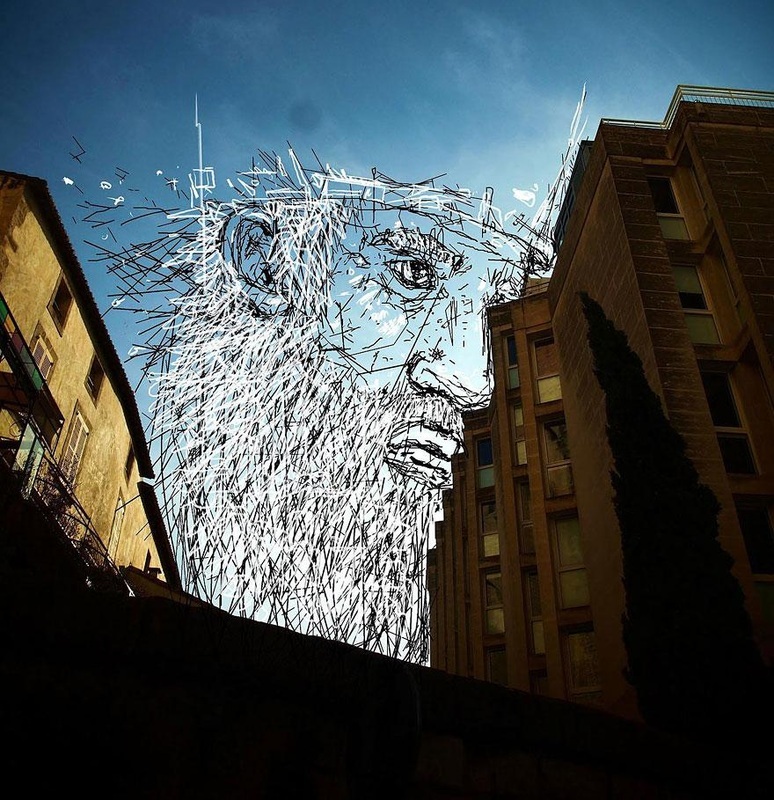 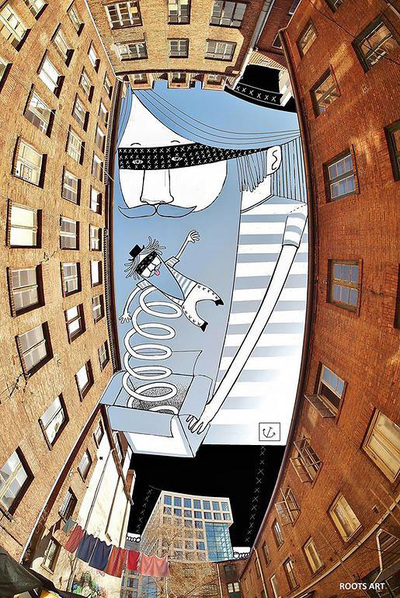 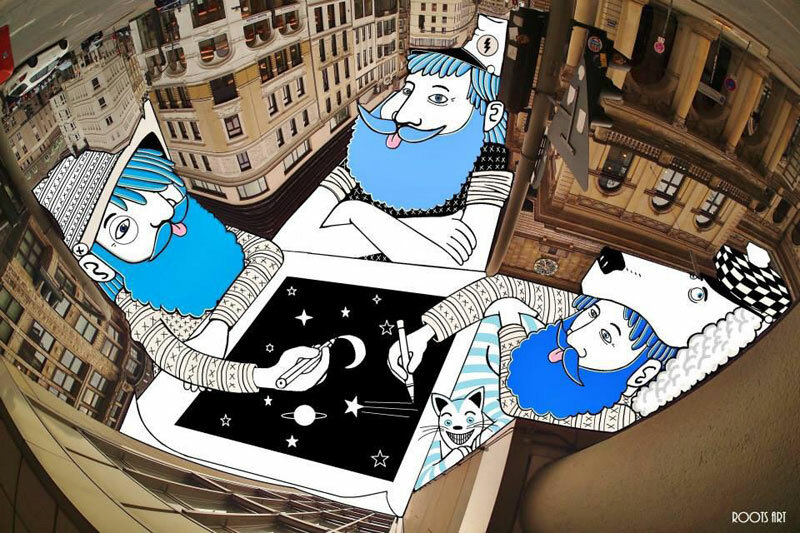 Using a fisheye lens he photographs the sky, filling it with illustrations using the odd sky shapes to create whimsical line drawings that incorporate the sky's natural colour. 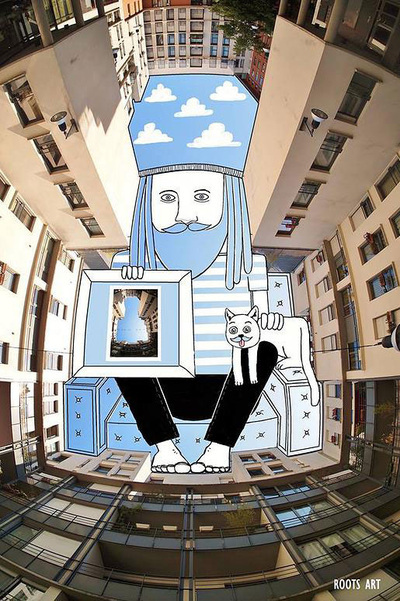 “My artistic aim is to show a different perception of urban architecture and the everyday environment around us, what we can construct with a boundless imagination,” says Thomas. 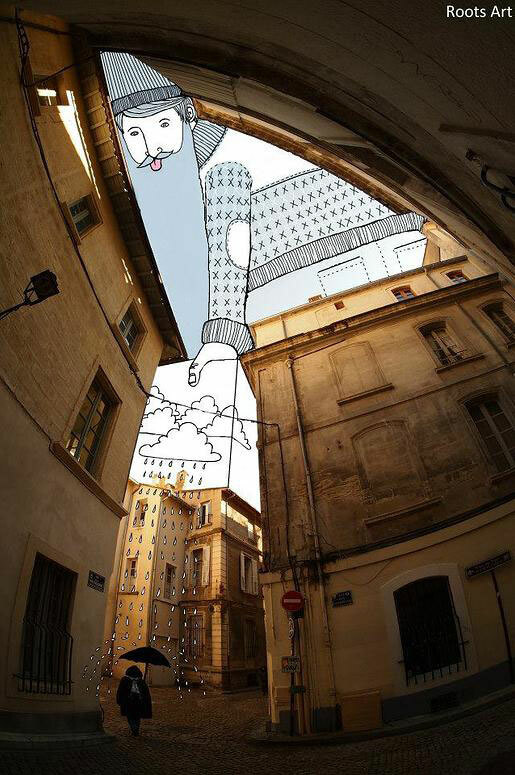 Aren’t you just going to see these creatures now every time you look up?